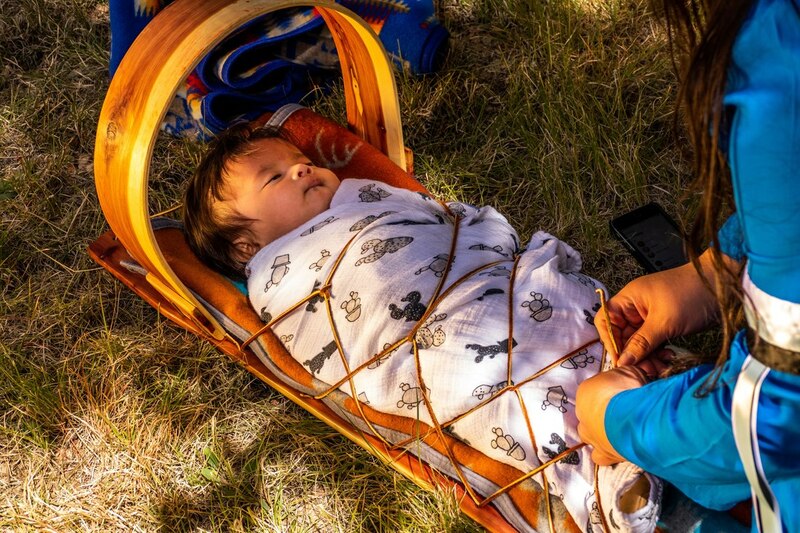 In the spring of 2018, Changing Woman Initiative hosted 8 talking circles in 6 of the Northern NM Pueblo communities to discuss traditional birth practices and access to birth services. In several of the communities, women reported wanting to have a homebirth, but this option was not available to them in their community because of lack of provider or if it was available, it was financially out of reach for them. In 2007, Tewa Women United interviewed 131 women as part of a Maternal and Child Health Needs Assessment. 49.6% would like their cultural practices integrated into their birthing experience. 44.1% felt their prenatal care provider was not culturally sensitive. 41.7% felt that the labor and delivery staff were not culturally sensitive. These statistics were reported in 2007, but in 2018, women in our talking circles were reporting birth trauma and obstetrical violence in their birth experiences, followed with postpartum depression and feeling helpless on where to go for support. We at Changing Woman Initiative are on a mission to renew cultural birth knowledge to empower and reclaim indigenous sovereignty of women’s medicine and life way teachings to promote wellness. We are also aware that over the last 20-years Native American women’s maternal health disparities have been well documented, but little effort has been done by way of centering Native American women to address these issues. According the 2013 Health Equity Report on Racial and Ethnic Health Disparities, Native American women continue to have the highest rate (with over 44 out of 100) having received no prenatal care or initiated prenatal care after in the first trimester. The NM DOH Pregnancy Risk Assessment Monitoring System from 2012 also reported that 32% of NA had in-adequate prenatal care, 20% of those women who had Medicaid had inadequate prenatal care (attended less then 50% of prenatal visits). lack of education on why prenatal care is important. The challenge that Changing Woman Initiative has undertaken is to address these known health care delivery gaps for Native American women in New Mexico through the creation of culturally centered home birth services that would integrate traditional teachings and plant medicine knowledge. ​Serving Native American, Alaska Native, and Indigenous women living in or around Santa Fe, NM, Pueblos: Pojoaque, Tesuque, San Ildefonso, Santa Clara, Ohkay Owingeh, Nambe, Picuris, Taos, Jemez, Santa Domingo, San Ildefonso; Albuquerque, and Navajo Nation.